This is an article which showcases an archive of the last 6 months web design and development agency experience. That’s a lot of reading, chatting with clients, video calls and project proposal writing improvements. Huge difference and lots of personal experience included every day when you are working with US clients. Let me share here the best inspirational videos that I am following and sharing here to start your Web Design career! In this video, show you how to sell anything, even as a total beginner. If you are a web designer newbie or just completed your first website design course then this is best for you. This video covers how to find web design clients – where to find new web design projects, what type of web design clients to look for, and how to close new web projects deals. Chris owned and operated a web development business for 10+ years, and he knows the first few sales are the hardest. That’s why here he is going to share 5 easy ways to pick-up some new clients to build your portfolio. Chris helps Web Designers to unlock their potential, free up more time, and get past $20k/mo consistently. He started a new website with the name – Upscale Method where he is providing 3 different packages – Mind Hack, Leverage and Treadmill. Overall, with those packages, you will start your career as a startup and get a result as your own successful web design agency. Thanks for reading this article, and watching videos here. 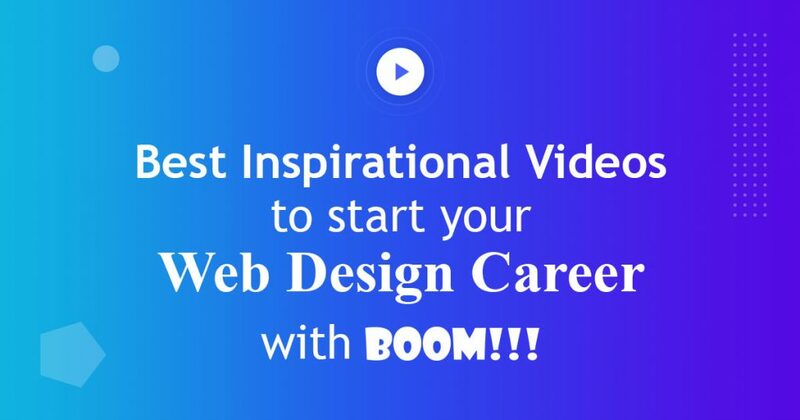 These are just some of the inspirational videos that I’ve found inspiring, insightful, and moving to start your web design career ahead. What are your favorite ones? And don’t forget to visit our Portfolio section that showcases our last completed works.